Completely new here so thanks for having me! I am here for my girlfriend who is a die hard Apple owner. Recently, here everything has taken a crap; I have fixed her phone screen and now her Mac seems to be on the fritz. 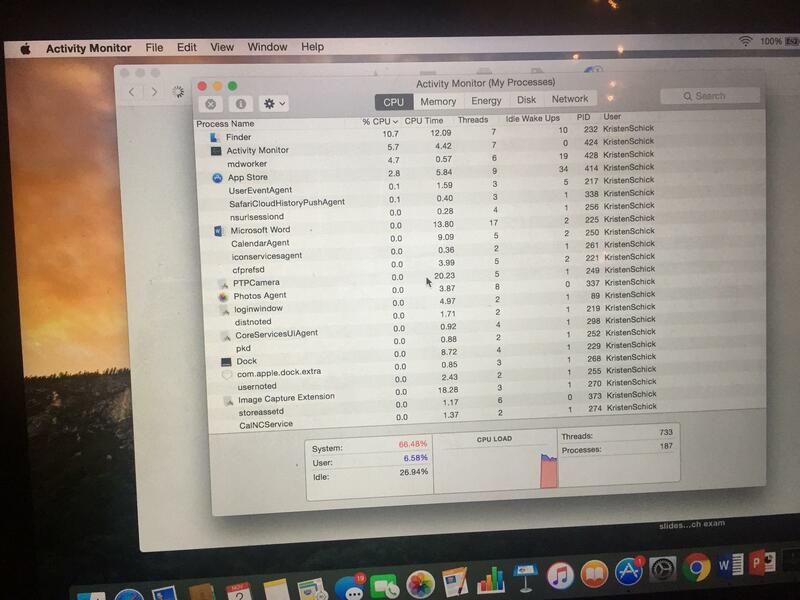 She has a Macbook Pro (new in 2015) with 120 gigabytes that has all of a sudden acquired symptoms that are causing her a lot of trouble. She goes to Boston University while I go six hours north to a different university, otherwise I would try doing more things for her to help, but I figured if this was a common problem, getting straight to the answer may be easier. She tried some basic things and for about a week, it returned to normal and functioned properly for about a week, but just now it started again. It's annoying because it will shut off while writing a paper and delete her work and pages load very slowly. I want to be able to help her more, but I am familiar with Windows/Linux operating systems and Android OS, so not sure how to handle Apple devices other than hardware. I apologize if this is redundant for some, I tried to look up what I can, but being that I only have vague information from my girlfriend, I'm having a hard time finding the issue. 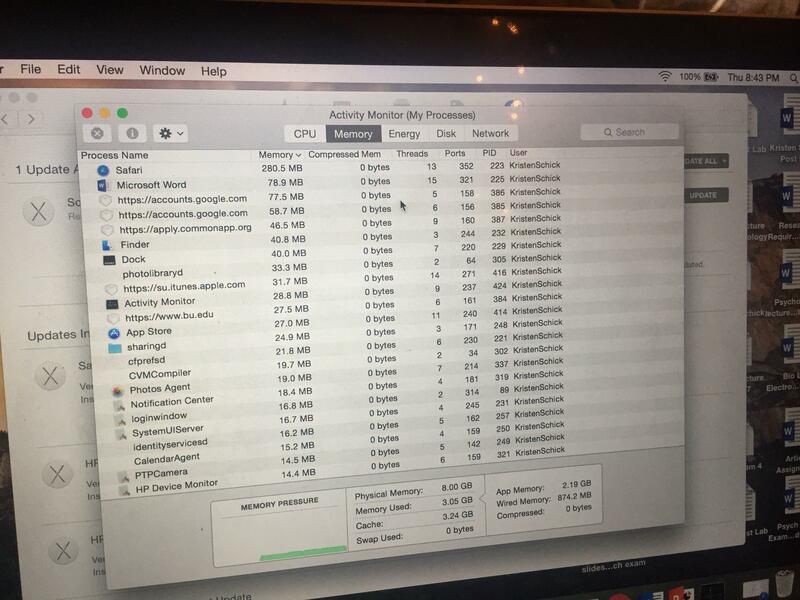 She is running version 10.10.5, told her to send me pictures of her CPU and Memory information to see what's running background. Does this mean anything to anyone? Go to the Genius Bar, and report these symptoms. Feels like a hardware problem -- that "hold the power button down" thing makes no sense. The red graph at the bottom shows heavy use by a system process. The user processes listed aren't using much. To see what system process is using it, in Activity Monitor go to View > All Processes. You can also check /Applications/Utilities/Console to see if there are any messages that look like errors showing in there.